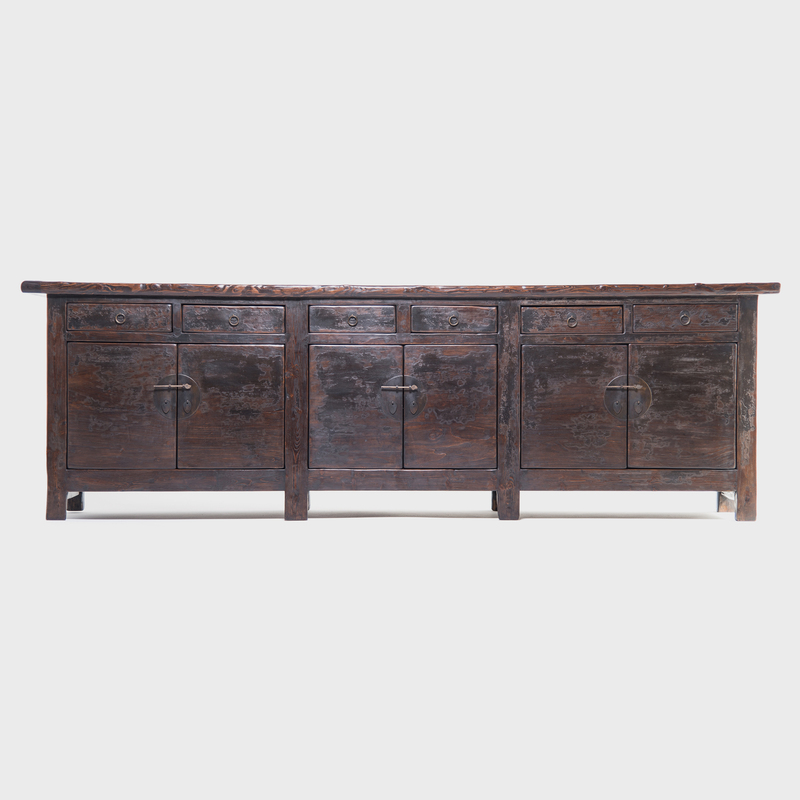 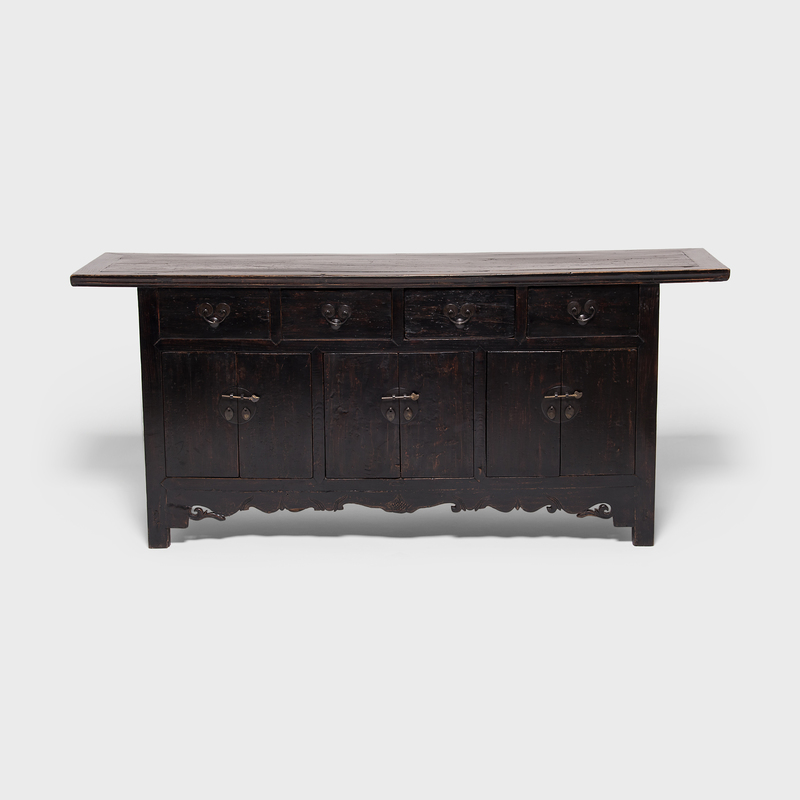 W: 115.25" D: 19.75" H: 36.25"
This monumental coffer was made by hand in China’s Shanxi Province and is emblematic of the masterful furniture design developed during the Ming and Qing dynasties: sophisticated mortise and tenon joinery, rich timber, and solid brass hardware. 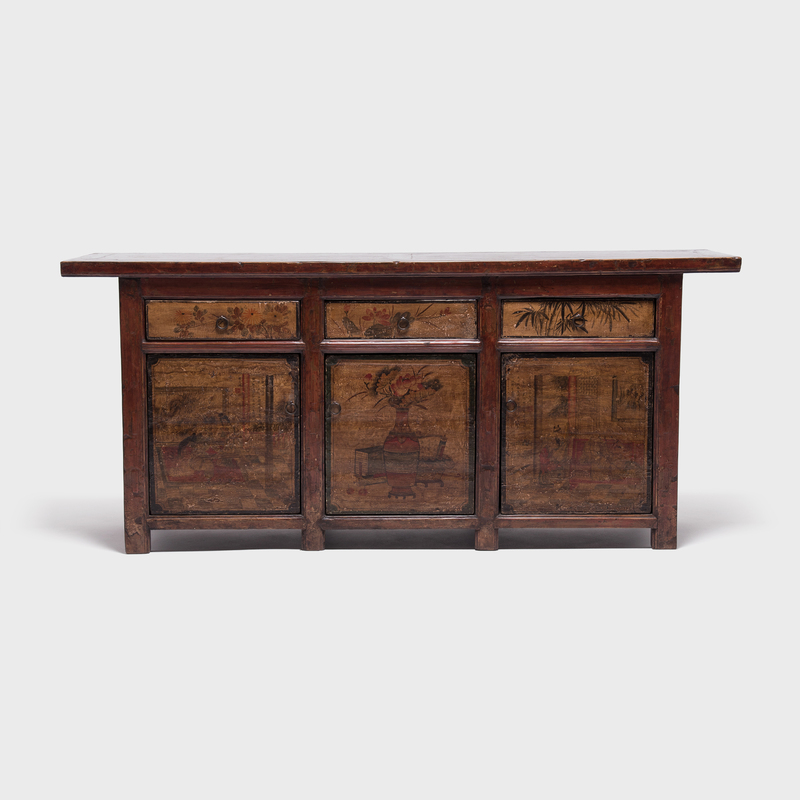 150 years ago this provincial coffer likely served as a family’s altar, where they placed offerings to respect their ancestors. 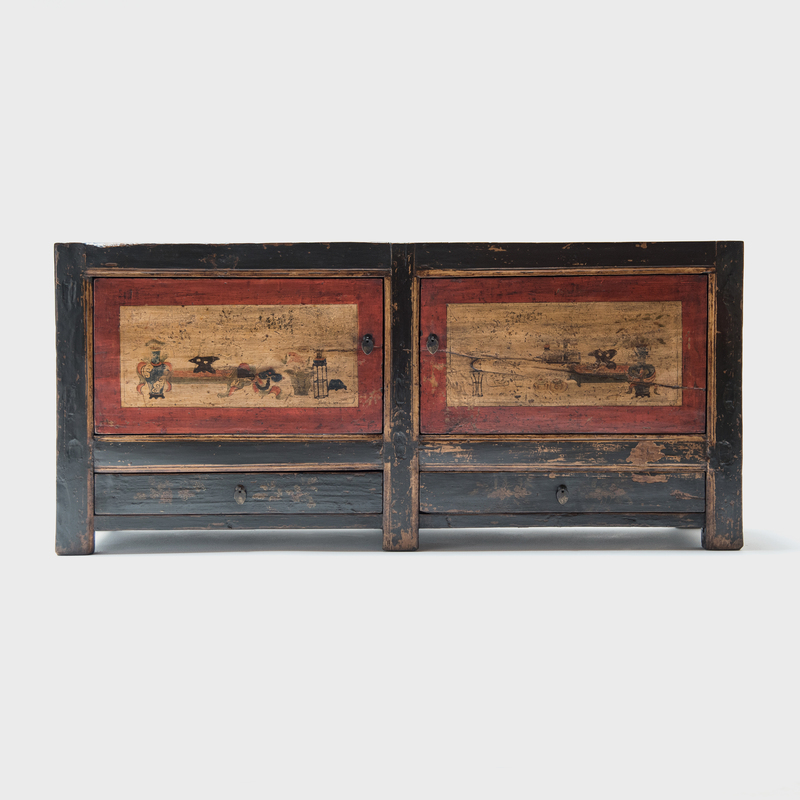 It would also have been general household storage, the six drawers and three doors concealing precious silks and embroidery as well as tools and other daily necessities. 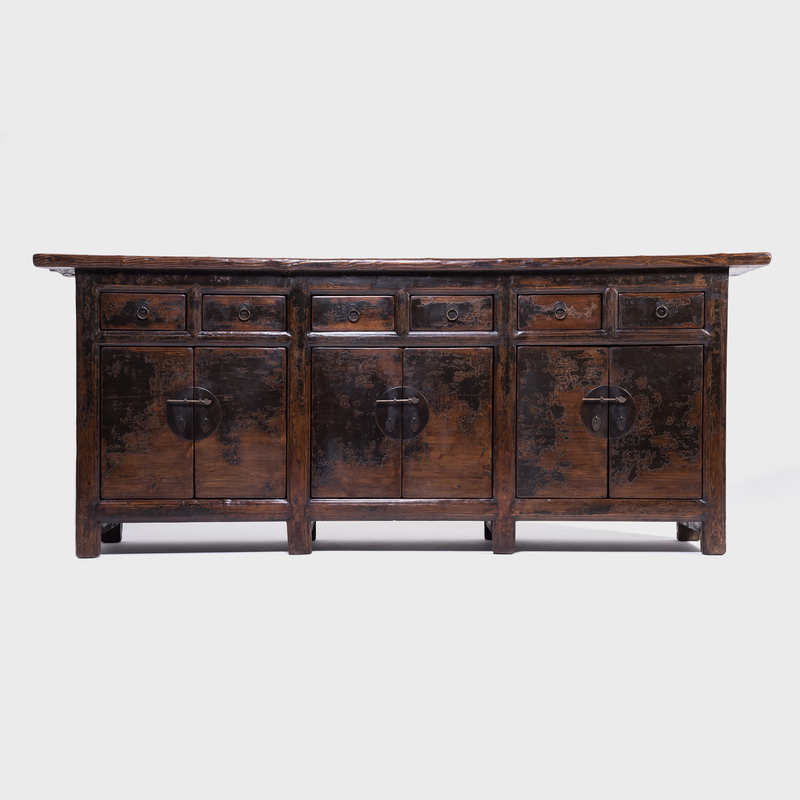 The original lacquer finish has developed wonderful character over time.